<style=”margin-right: 10px;”> Certified and Licensed to practice Acupuncture in Virginia and Maryland, Heather Ruth received her Master’s Degree in Oriental Medicine from the East West College of Natural Medicine in Sarasota, Florida. In July 2018, Heather became certified as an Institute of Functional Medicine (“IFM”) practitioner. Combining her IFM studies in the areas of Cardiometabolic, Immune, Hormonal, Detox and GI and Energy advance practice modules, with her other advance studies in the workings of the thyroid, brain and functional blood chemistry and neuroendocrine immunology of environmental triggers, gives Heather a well-rounded view of the interaction of the body mind complex, providing her clients with a balanced and focused lifestyle protocol. A Northern Virginia native, Heather began her training in holistic health care with the practice of Reiki in 1995, receiving her Level III Advanced Practitioner’s certification in 1997. Pursuing her passion, Heather began her training in BodyTalk in 1996 and continues to maintain her certification in both basic and advanced techniques. 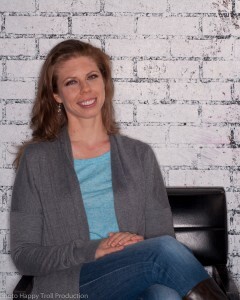 Combining these energy bodywork modalities – Acupuncture, Reiki and BodyTalk – with her IFM and other advanced studies in nutrition and structure of the human body, Heather brings to her practice a depth of knowledge and understanding of each individual’s body mind complex from both traditional Eastern and Western allopathic perspectives. As the health field continues to expand its knowledge base of the body mind’s interdependent working and healing process, Heather feels that focusing on only one aspect of a disease process may not fix and maintain a person’s well being and that the best results can only occur when people dynamically participate in their healing process. Explore Body Energies Success Stories.